Well, we survived the bad storm last night but were told today that four tornadoes touched down in an eight-mile radius of where we’re staying and saw pictures of two of them. Scary! But today it’s been sunny and hot. So, we went and ‘took the baths’ this morning at Buckstaff Bathhouse. It sure was an experience, we enjoyed it very much. 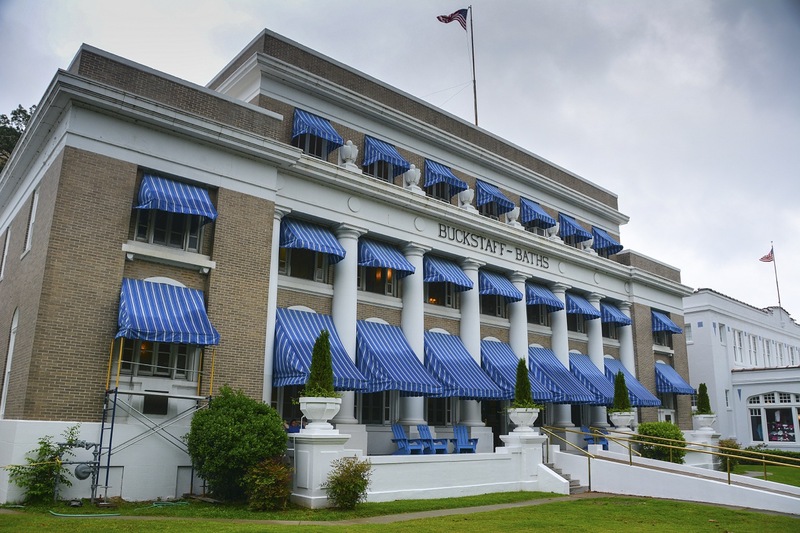 Buckstaff first opened in 1912 and has been in continuous use since then and looks much the same inside today as it did back then and it is now the only bathhouse providing the traditional bathing experience in Hot Springs National Park. Men and ladies bath separately of course and the first thing we had was a whirlpool bath in an old fashioned tub (I don’t think they were the originals!) but the contraption that turns it from an ordinary bath into a whirlpool looked as though it had been there since about the 1920’s. It literally stood in the water and agitated it. The water temperature for bathing is 100 degrees fahrenheit or 37 degrees celsius. After being in the bath for about 20 minutes, you sit in a sitz bath, that’s good for lower back problems, then it’s into a vapor cabinet for five minutes, after that it’s time to relax in very hot towels wrapped all around the body for 20 minutes, then it’s in the shower to wash off. I think the showers must have been from 1912 by the look of them and then it was a massage. We were given hot spring water to drink at each treatment and then iced water to finish. 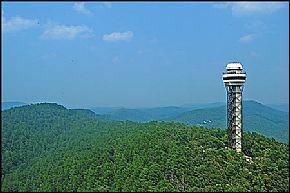 After being scrubbed and polished and fortifying the inner man (having lunch that is), we went up the Hot Springs Mountain Tower. 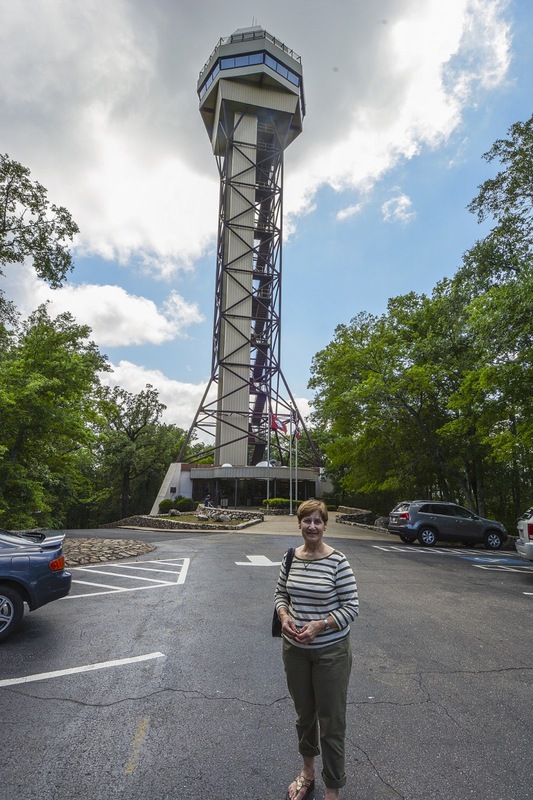 The tower is 1,256 feet above sea level, overlooking 140 miles of beautiful Arkansas countryside including Hot Springs National Park and the Ouachita Mountains. 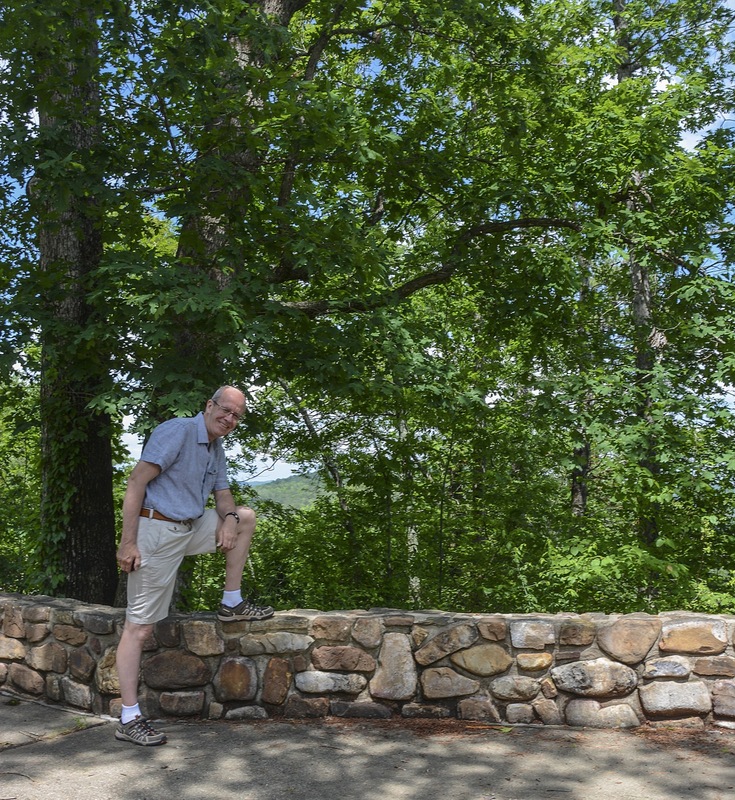 Construction began in 1982, and the structure was officially opened to the public on June 3, 1983. The view was magnificent and Si went out onto the open observation deck to take pictures while I cowered on the floor below in the glassed-in area. I’m not a person for open heights of any kind!! The tower did sway slightly in the wind but it wasn’t scary. 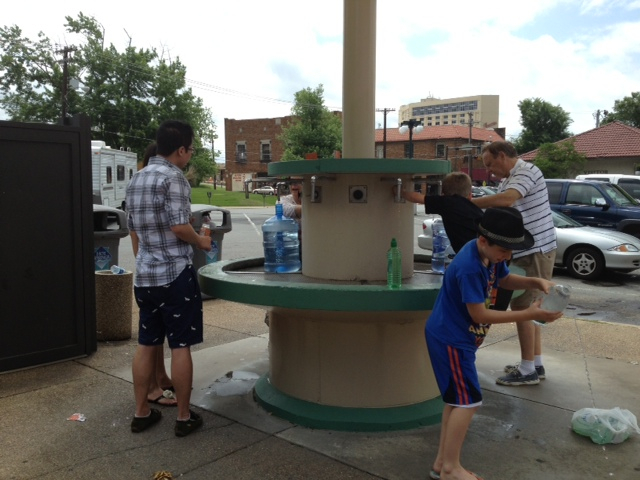 The people of Hot Springs are very lucky because they never have to buy bottled water. All they do is take their containers, as many as they like, down to one of the cold water dispensers and they can have as much free spring water as they like. 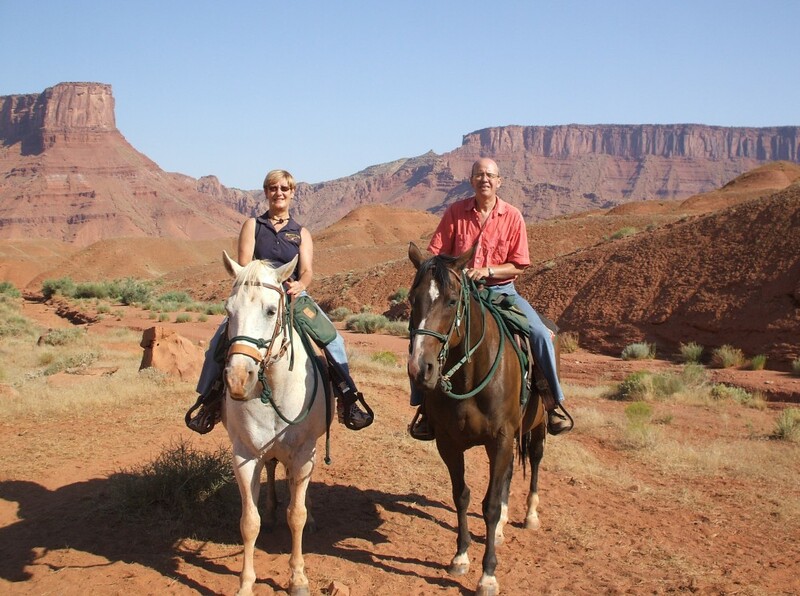 Tomorrow we move from Hot Springs to Fort Worth, Dallas. The only problem is that there is a severe weather warning for that area now too!! It’s a five-hour drive so fingers crossed we can outrun the bad weather. Brollies at the ready! !